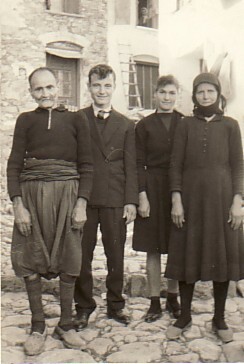 Above: My maternal grandfather, Dimitrios, my uncle, Evangelos, my auntie, Mersina, and my mother, Pelagia. 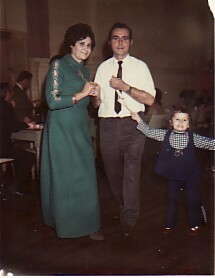 Above: My paternal grandfather, Grigorios, with his daughter-in-law, Arhondoula. The children are Arhondoula's- Mersina and Grigory. 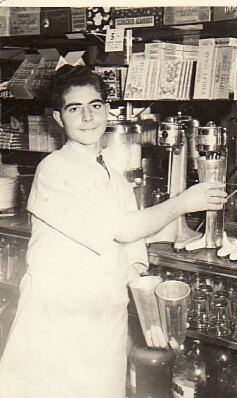 Above: Working at the Prince Edward Cafe in Sydney. I worked there for two years (1953-54). Above Right: Visiting Greece. 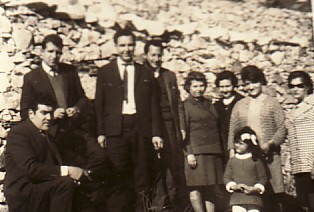 I am third from the left, while my wife, Paradisia, is first from the right. 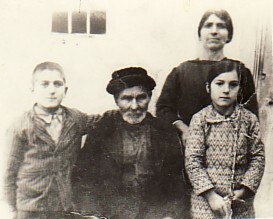 George Markou is first from the left, while his wife, Maria, is second from the right. Above: With my wife, Paradisia, and our daughter, Jenny.